At eleEOS we offer technologies that are innovative and eco-friendly for homes and business. We invite you to take a tour of our website and see how you can shape your environment the way you want it. We offer products that save money on your electric bills, create cleaner air quality, soften your water and even heat your environment more efficiently. We also offer energy audits and EMF consultations for your home or business. Dr Whittington is experienced in the most difficult of chiropractic related problems. In fact they often see patients who have not been able to receive help elsewhere. Having graduated with honors from Life Chiropractic College in 1994, Dr Whittington has grown a successful practice in Asheville, NC. Care is offered as related to back pain, neck pain, injured disk, headache and other chiropractic related concerns. Patients include the elderly, newborn and children, injured, and for pregnancy related spinal problems and auto accident injuries. Emphasis is placed on wellness, prevention and helping patients achieve maximum health. The office offers low force and traditional adjusting based on the needs of the individual case. Most insurance is accepted including medicare, medicaid and Dr. Whittington is a preferred providor for the Blue Cross network. The office offers fair rates for a quality service which is appreciated by "self pay" patients. "We think you will find our office friendly, professional and ready to serve you. We do our best to honor same day appointments and pride ourselves on a "little or no wait" schedule. We feel you should not have to wait 45 minutes for your chiropractic visit!" Whittington Chiropractic is located 5 minutes east of downtown Asheville immediately off I-240 exit #8 directly across from River Ridge Mall and Beside Babys R Us and Golf USA. Dr Whittington is a native of Western North Carolina who has returned to the area to share his love of chiropractic. He is married to his wife, Robbin and has two step sons who are currently serving in military service. They live in east Asheville and attend historic All Souls Episcopal church in Biltmore Village, Asheville. Integrated DC Solutions (IDC) is a privately owned company specialized in the construction of solar power plants. Experts in renewable energy systems design, implementation, and maintenance, in extremely harsh environments: Sahel region of Niger. We offer Solar Power DC operated, Heating, Ventilation, and Air Conditioning (HVAC) solutions to telecom operators, construction, mining companies, and suppliers to the industry We are specialized and equipped to plan and carry out major projects. IDC is continually striving to improve it’s ability to develop, introduce, implement, and maintain the latest technologies. Why IDC Solar? Quiet simply because of Inverter-less Operation In brief, my approach to solar energy is quiet different than that currently widely practiced in the US. I have made considerable progress in Africa in a completely Inverter-less application of solar energy. All of my household appliances run on DC power -the native energy produced by the solar panels. No conversion to AC has several advantages to include: 1) No Inverter required, eliminating this Single Point of Failure and it’s hefty initial step-in cost 2) Significant Reduction in installation labor costs (time and rates) 3) Increased operating efficiency -no power conversion losses, 4) Safe-to-the-touch low volt Class 2 wiring -less likelihood of electrocution. SERVPRO of Asheville East is a trusted leader in the restoration industry, and our highly trained technicians provide 24-hour emergency service. We’re dedicated to responding faster to any size disaster with the training, equipment, and experience to respond to your restoration or cleaning needs. Together our dedicated staff of professionals can provide a full range of integrated services to meet all of your environmental needs with a single point of contact. As an employee-owned business, our personal success depends on providing quality work in an efficient and cost-effective manner. We take pride in our ability to draw on our staff's diversified abilities to satisfy the varied environmental needs of our clients. 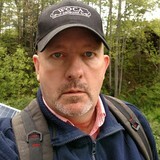 As a former healthcare professional, I have seen the illnesses that environmental contaminants can cause, and have concluded that it's less expensive and safer to eliminate them from the environment than to fight them once they cause harm. My team would like to help you track down the problem or simply help create an economical plan for creating a healthier environment. Not only will we work with you, we will help teach you about things you can do to keep your property healthier. Together we can help ensure that you will benefit from a much healthier environment. As a trusted leader in the restoration industry, SERVPRO of Burke County has highly trained technicians that are dedicated to responding faster to any size disaster. We provide 24-hour emergency service and have the training and expertise to handle your restoration and cleaning needs. In the event of a house fire, damage may come from several places. The flames themselves can char and burn, the smoke and acidic ash can coat and degrade surfaces, and the water used to extinguish the fire can weaken and destroy. Leftover moisture can lead to rampant mold growth. That’s where Restoration 1 of Laurens County comes in. Our expert restoration professionals offer disaster recovery services in Laurens County to help you restore your home to its previous condition. 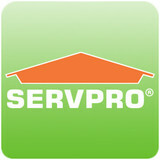 As a trusted leader in the restoration industry, SERVPRO of Asheville West provides 24-hour emergency service and is dedicated to being faster to any size disaster. We can respond immediately to your emergency and have the expertise to handle your restoration or cleaning needs. I own/operate a mobile locksmith buisness performing most locksmithing sevices.This I do out of my car. Find environmental services and restoration professionals on Houzz. Narrow your search in the Professionals section to Hoopers Creek, NC residential environmental testing and home disaster restoration services to find a list of qualified professionals. Read through professional profiles for information on qualifications, experience and services provided.